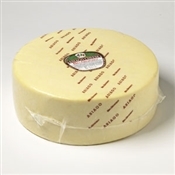 With a slightly sweet and nutty taste, Asiago cheese is a flavorful addition that will appeal to any palate. An Asiago cheese wheel from BelGioioso gives you an award-winning recipe to add to your favorite dishes, with enough left over just to snack on. Made from a mix of skim and whole milk, Asiago cheese is lighter and sweeter than other varieties, ideal for shredding or slicing. With a full wheel, you can add your favorite cheese to pastas and salads, slice on sandwiches, melt onto a panini, pizza, and many more foods. 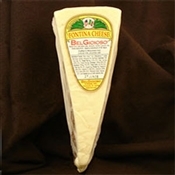 Add Asiago cheese to a plate and enjoy with a dark beer or red wine.